Hello, Matt Zook and myself have pulled together a double session with 9 papers and a discussant for next AAG annual meeting. Tim Wallace, Has Google Homogenized our Landscape? Jeremy Crampton, Mapping Without a Net: Only for Google to Rope Us In? A list of the paper abstracts is here. Fame at Last! 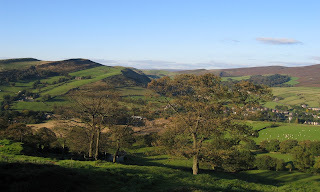 I recently submitted a photograph I took on the nearby hills to the local free newspaper, the Glossop Advertiser. 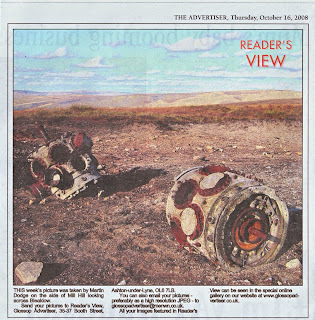 This week they printed it in their Reader's Views feature. The photograph is reproduced below. 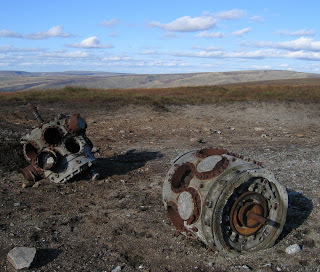 It shows aircraft crash debris on Mill Hill, with a view of Bleaklow in the background. A word cloud created from the text in a Rethinking Maps, an edited book I am trying hard to finish off. The image was created using Wordle, a fun online for generating clouds. Atlas of Cyberspace book - full content for free! Many thanks to Pearson for willingly granting the copyright back to us and to their staff for handling this process so efficiently. If you're still interested in getting a hard copy of the Atlas of Cyberspace there are a good number of second hand copies available to buy (e.g. see AbeBooks listing). Atlas of Cyberspace by Martin Dodge & Rob Kitchin is licensed under a Creative Commons Attribution-Non-Commercial-No Derivative Works 2.0 UK: England & Wales License. Managed to get OSM into the RGS! 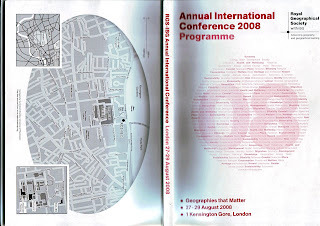 Graham Bowden, in the Cartographic Unit at the university used data for central London from OpenStreetMap to produce a nice custom location map for the back of the programme of the prestigious Royal Geographical Society conference this summer. This is a bit of wiki-map coup as the RGS is, in some senses, the home of 'old school' cartography and last year they used a rather nasty looking Google map on their programme. Graham's OSM-derived location is available as a nicer pdf from here. Walking this afternoon in the sunshine on the hill above Hayfield. 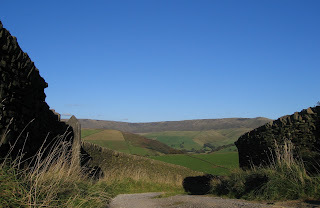 Above is a view towards Lantern Pike. Below is a view down a lane towards Knder Scout.